The article is a bit thin on detail – there’s a good discussion about the details [PSX – maths warning]. The circle pattern casts a ‘shadow’ on the sensor for each point of the image field, then a bit of maths recovers an image… (well, a lot of maths). You even get to choose focus and depth of field. As to when this becomes a practical solution, and cheaper than some lenses and a sensor… Not for a few years yet, for DSLR image quality I suspect. 28th With mentions of a 77D (on the 750/760D replacement page) my first thought was that it’s a typo for 770D, but I was reminded that Canon’s choice of numbering system has previous form for this. Here’s the list of old Canon EOS SLR film models and they do make the DSLR numbering look almost sensible in comparison. 750D/760D replacement and what else? An update for the 100D? The 6D mk2? 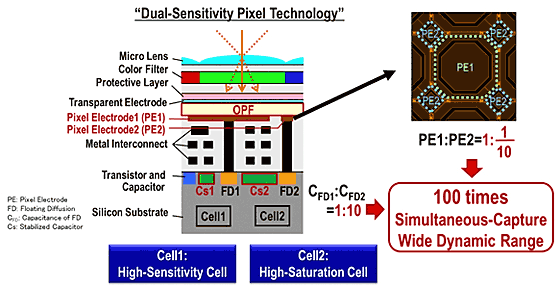 18th An interesting imaging chip from Sony [Nikkei] incorporates polarising elements directly in front of each pixel. The difference in response allows polarisation info (polarisation angles: 0, 45, 90 and 135°) to be extracted from an image (but at the cost of lower resolution). Previous versions had the polarising elements above the lenses, leading to much higher crosstalk. The filters are implemented with thin slats. A pair of images showing how reflections could be selectively removed. Obviously a sensor for quite specialised use. The 6D should be a natural choice for update [6D mk2], but I find suggestions of an early update for the 5Ds/R less than convincing [5Ds mk2]. In APS-C the 750/760D look a good bet for updates early 2017, whilst the 100D carries on [100D update]. 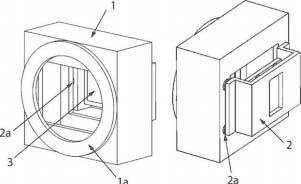 15th An RGBW pixel orientation sensor is patented by Canon [EG xlt] Surrounding the colour pixels with white (no filter) pixels improves sensitivity, but at the cost of lower colour resolution. Reversing lenses is an old macro trick (my home made macro lens and telecentric macro) but not so easy with all electronic lenses. 10th I note that the Light 16 multi-sensor camera has sold out its first production run and now has a few more sample images to show. The sensor bends as the rear section is made to expand. The amount of curvature needed varies with the sensor size. Compact cameras continue the greatest decline, but there is little good cheer for camera makers. The idea seems to involve adding and subtracting pixel data to get colour values from each pixel. The choice of Bayer layout cuts down on processing requirements. 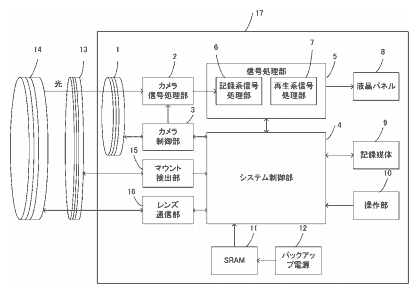 As with many translated Japanese patents, it’s not always clear what’s going on, but this one seems to cover colour sensitivity and processes to reduce pixel crosstalk. Only problem is that it wouldn’t work with existing lenses – so not coming to a DSLR near you any time soon. 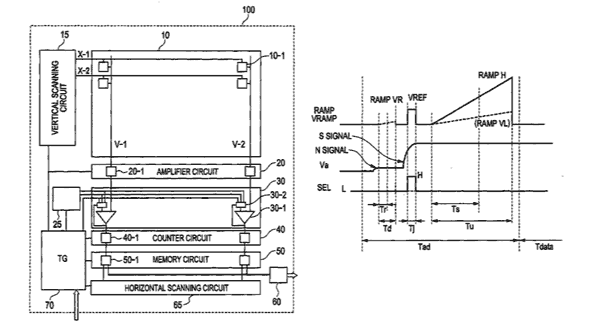 23rd A dual layer pixel patent from Nikon [EG-xlt] for phase AF (potentially) gives better AF performance compared to simple split pixel designs. 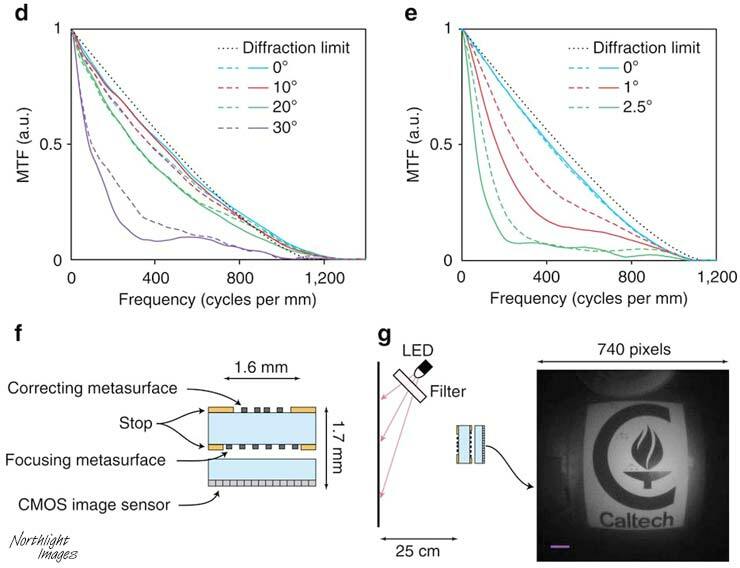 As well as offering ‘cross-type’ phase AF, the second layer has different colour sensitivity, potentially offering higher colour resolution than a simple bayer layout. 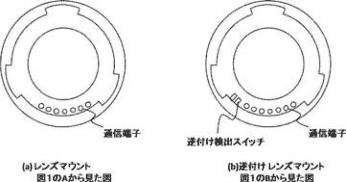 Reduces the ability to quickly swap lens types compared to adapters, but if it is a patent of a factory fit type of unit it could make it easier to manufacture/supply cameras for different markets. Are we getting any closer to a modular camera design? Canon already offer EF/PL style mounts for cine use. 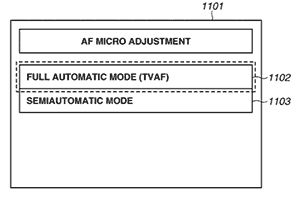 9th A Canon patent shows how combining OVF and EVF can allow the whole area of the frame to be used for AF. In terms of EVF, I took some shots with a Sony A77 this weekend whilst using my 5Ds (I was on an architectural job and the client had the A77) – suffice to say, I’m not keen to move to EVF any time soon. 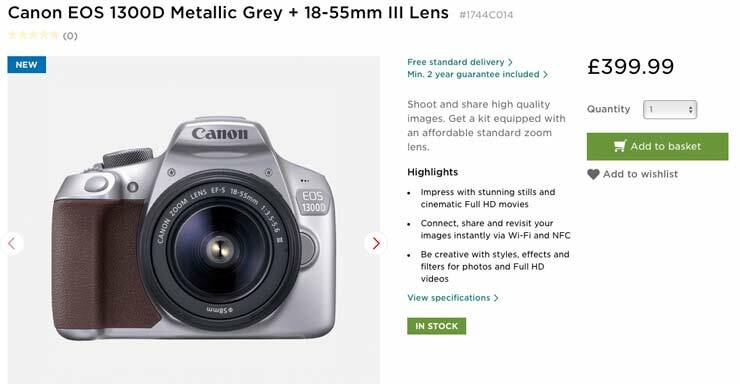 8th It seems that a grey/silver version of the 1300D/T6/KissX80 is going to appear somewhere. 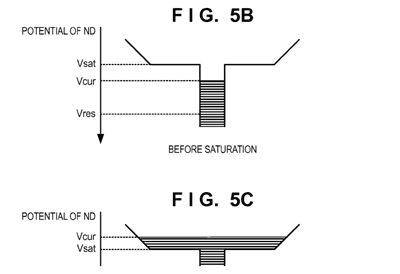 31st Canon has a patent looking at how to get rid of the need for light shielding when doing dark frame subtraction, when setting sensor black levels. “No news is…” well… to be expected. I’m still labouring away to rewrite this site (remember I do have a ‘real’ job too) and was recently looking through the rumour history, tieing this in with camera sales and the amount of ‘buzz’ generated at Photokina. The quality of rumours after photokina has been weaker than ever and I suspect that the number of visitors to all the assorted xyzrumors.com sites has been taking a hefty dip. The graph is based on the CIPA camera shipment figures discussed earlier this month (with the partial 2016 figures generously extrapolated). Meanwhile, its reassuring for me to note that the traffic for the articles and reviews I’ve written have steadily increased over time, overtaking the ‘rumour visitors’ last year. Whilst these figures are obviously of more interest to me, since the site helps pay for Karen [my wife] to work for Northlight, they also reflect wider changes in the industry which make me wonder about the future of many well known web sites and camera brands. I’ve mentioned several of the ubiquitous ‘press interviews’ from Photokina and advised suitable caution about reading much from such marketing pieces. Have a read of Thom Hogan’s thoughts on the matter [TH] – he has a good list of interviews at the foot of the article. 26th Cameras with WiFi or bluetooth need to be registered with rgulatory authorities some time before launch. 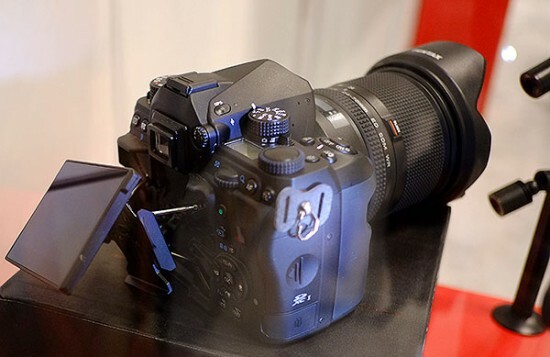 The two DSLRs might well be updates to the 750D/760D? Interesting, but I need to give a solid try out… It should be out in the next month or so, and I hope to have a full review when it’s available. Curved sensors are great for fixed focal lengths, but less so once you change the lens. 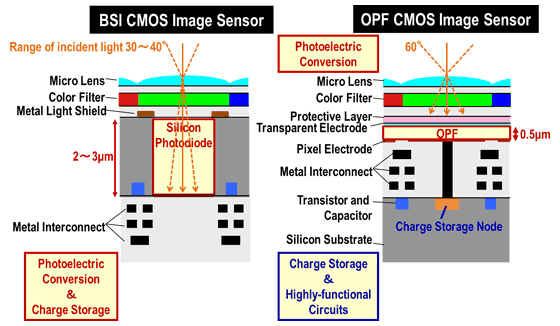 15th The compact flash association (CF makers trade club) has announced a new standard that they are working on. The CFExpress standard would have a theoretical maximum thoughput of 8GB per second. 4) Seamless compatibility with the capture ecosystem and workflow tools. The translation above is quite readable and recounts how empty the recent Photokina was compared to a few years ago, along with the general changes that led to their closure. 14th An interesting chart showing CIPA camera shipments over the lifetime of this site. It’s not good news for camera companies. I’ve been working on an all new version of the site for quite some time (it’s huge and I have a day job) and whilst it will still have a rumour update section, it will be simpler and I’ll be expanding the news, reviews and articles (suggestions welcome). 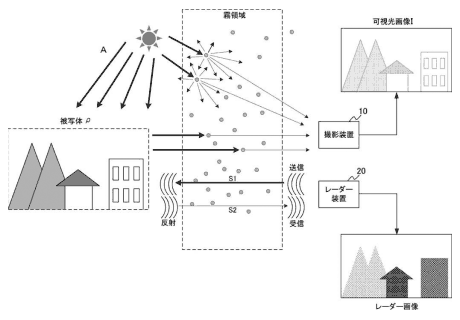 Higher resolution secondary sensors need a better optical system, which would normally take up too much space in the crowded prism area, but the particular benefits of this one need a better understanding of the Japanese text than the translation offers. 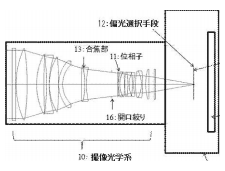 The combined prism/lens element (19) is an interesting one. Which one of the two looks more firmly rooted in reality? I’d note too that quite a few of Thom’s comments are what I’d include in Canon’s ‘to-do’ list as well. Other cameras get an update to address a lens incompatibility. and an update to the 70-300 F4-5.6. With a quick look at the specs, I notice a rather low number of shots per battery charge – looks like you may need a pocket full of batteries for a day’s shooting with a lot of EVF and rear screen use. The new 70-300 brings Canon’s first LCD display for a lens. 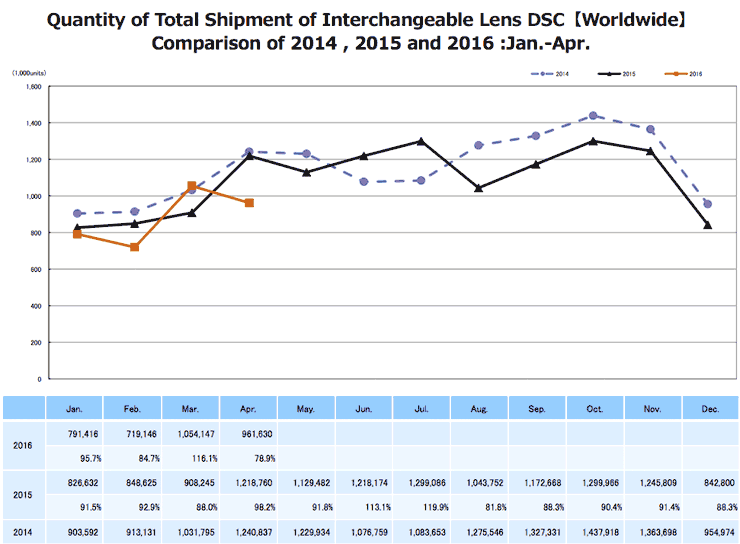 Looking at how the presence of a physical indicator scale constrains lens design and manufacturing, I expect we’ll see many more examples of this with upcoming longer lenses. The distance info was always there for many EF lenses, it looks as if now Canon have improved its absolute accuracy and the cost of LCD units has come down enough to warrant electronic displays. I was away last week, and as you might expect, took a few photos. I’ve written up a detailed article about making a large B&W print (22″ x 43″) of the harbour at Staithes (N. Yorkshire). It looks at the whole process from picking a view through to making the final print, a stitched image of around ~90MP equivalent. The stitching is as not to make what I’d call a ‘panoramic’ print as such, but more to get a wide view in a cylindrical projection rather than the rectilinear one I’d get if I shot at 11mm. I often use image stitching to control the final image projection in this way. If you ignore the stitching section the tutorial is just as relevant if I’d used just a single shot. – “Head Replacement” menu is added on the operation panel menu. Should appear on local Canon support sites before too long. 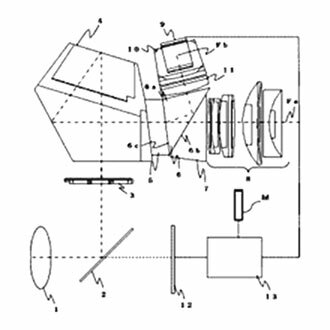 2nd A Canon patent [EG via Google xlt] expands the idea of compound cameras (multiple focal lengths at the same time) with a folded optics system. As might be suspected by anyone with more than a cursory knowledge of optics, the effect is rather small. Expect to see rather more serious use made of the split pixel RAW data once people start working on it. I’m pleased to see Canon adding stuff like this to a camera. 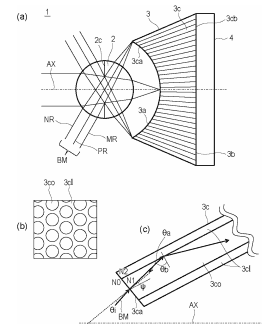 In a further offset microlens patent [EG via Google xlt] another aspect of the asymetrical pixels micro-lens is explored, this time light scattering. Compare with diagrams from a few days ago (Aug 19th). 30th I was recently asked what was the best printer currently available? Not a question I’ll answer, and I’ve written up why at “Why I never recommend the best products” – hope it’s of help in understanding the reasoning behind the hundreds of reviews I’ve written over the last few years. 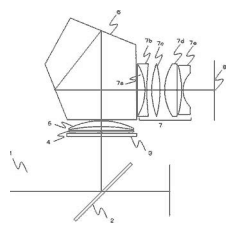 29th A Canon patent [EG via Google xlt] shows how by replacing the sub mirrors with laminated diffraction gratings, the normal angle of reflection can be altered, adding or subtracting to the usual angle. 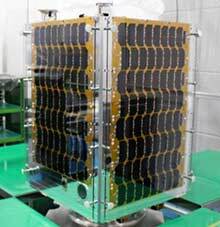 In the example of the 5Dmk4 this is used to expand the vertical coverage of the AF sensor array (this technique could explain the improvements in the 1D X mk2 as well). This is required where products have wireless functionality. 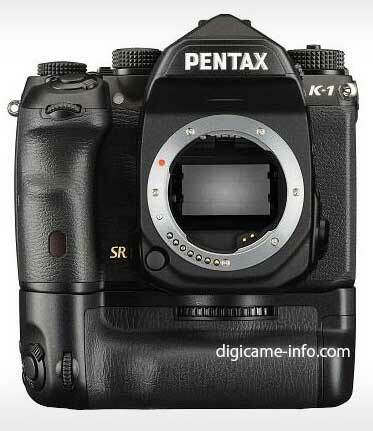 What DSLR might appear so soon after the 5D mk4? 25th The 5D4 has new features that makes use of Dual Pixel data, if recorded (doubles the size of RAW files) and currently only usable if you process images with DPP. There is a Canon article explaining the dual pixel AF adjustment functions. 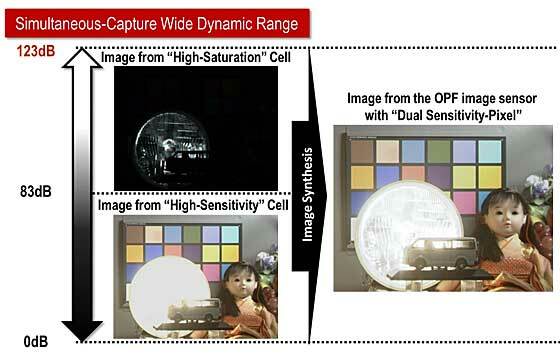 – According to Canon, Inc. engineers, best results will tend to occur when images are taken at wide lens apertures (low f-numbers). As an image’s depth-of-field increases, Dual Pixel RAW’s ability to make significant visual changes decreases. – Focus distance matters between camera and subject, too. In general, the impact will tend to be greater at near and middle distances for a given focal length lens than it will if the lens is focused upon truly distant subjects. – No exceptions: to have the ability to perform these operations within Canon’s DPP software, the actual image must be taken with the EOS 5D Mark IV’s Dual Pixel RAW menu option enabled before the shutter is fired. RAW images can certainly be taken with Dual Pixel RAW disabled, but you will not be able to perform these additional changes to them. – To repeat, Canon, Inc. and Canon USA have no idea if or when any competitive, third-party RAW process software programs may develop Dual Pixel RAW process capability. With EOS 5D Mark IV RAW files, taken with Dual Pixel RAW enabled on the camera’s menu, know that you can process them and make Dual Pixel RAW adjustments with Canon’s DPP software — version 4.5 or higher — and that software is included with the EOS 5D Mark IV camera. It’ll also be available as a free download from Canon web sites. 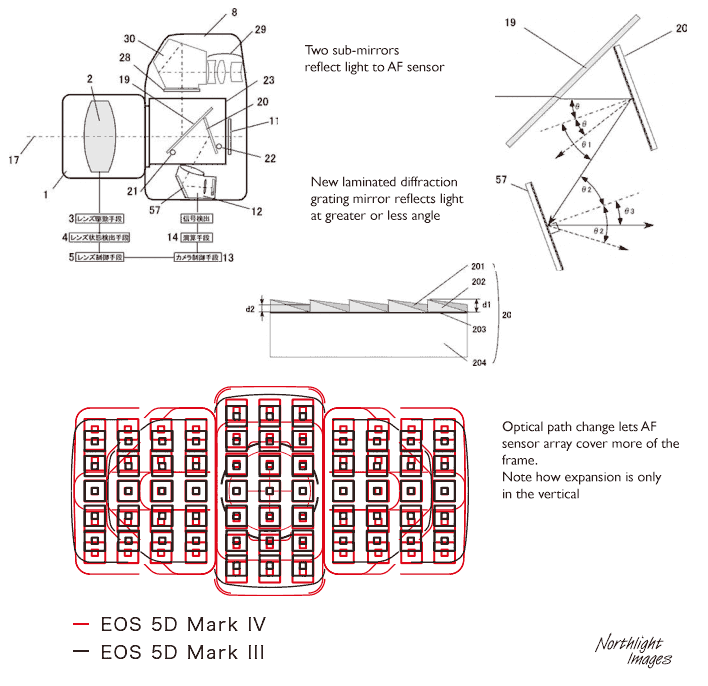 – Dual Pixel RAW images are only possible with the EOS 5D Mark IV, as of mid-August 2016. We know of no plans at present to add this feature to previous EOS models that have the Dual Pixel CMOS AF architecture (EOS 70D/80D, EOS 7D Mark II, and EOS-1D X Mark II, for instance). Firmware updates will be available for the above cameras in due course. 21st The new WiFi in an SD card device. 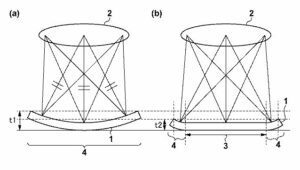 Back in April we had a patent for per pixel lenses on a sensor that were distorted in shape, so as to improve off axis light capture. 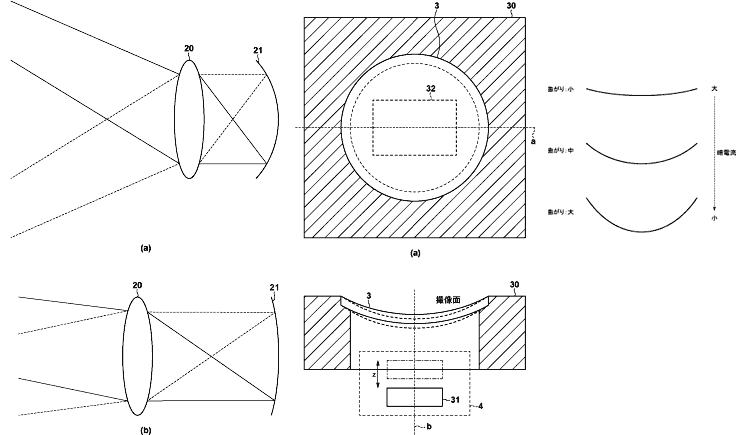 A new patent [ISW] changes the shape of the lenses. For more details, see April 25th, below. Just the sort of thing that might be useful in a full frame EOS-M? 15th It’s time for the eagerly awaited EISA awards and Canon gets gongs for the 35/1.4 L II, the 1DX II, the 80D and the PRO-1000 printer. Note that when I say ‘eagerly awaited’, I’m referring to the PR departments of the companies that have ‘won’ awards. Who are EISA and why should you care? I’ve just published a very detailed review of the Canon PRO-2000 24″ large format printer. 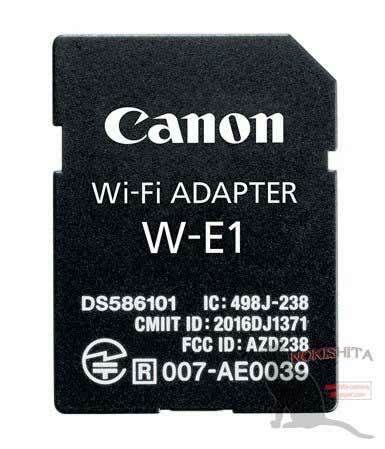 4th We’re told (thanks) that the upcoming SD card style WiFi card will work with EOS utility and that the level of funtionality won’t necessarily be the same for all cameras that support it. Presumably some firmware updates will be required? 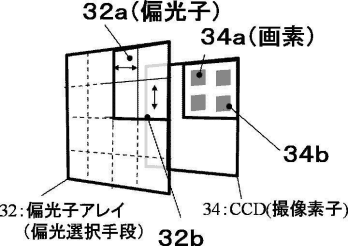 The front unit (2) includes a display unit (23) that has a small camera (21,22) in front of it. By making the sighting tube an EVF, it allows for using with lenses with a much bigger front end, where mounting the sighting tube on the top of the camera would not line up with the display. 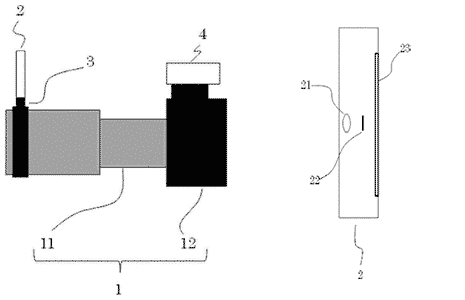 Well, that’s my guess – have a look at the patent and see if you can make any more sense of it? Fits in an SD card slot – so should be good for other cameras too? The polarising elements alternate the plane of polarisation. Whilst final focus might require some back and forth focus movement, the better estimate for initial movement you can get, the faster and smoother the focus action is. 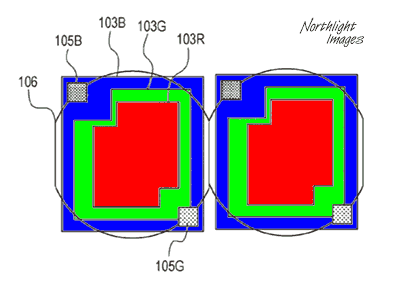 In a patent from Samsung [ISW], the colour filter array is replaced with beam splitters. 3rd Add the earthquake hitting sensor supplies (for everyone but Canon) to the ongoing slide in camera sales and you get the worst figures yet for shipments from CIPA. Rumours have gone fairly quiet of late, but I’m hoping for a pickup this month, as we get closer to Photokina camera releases. BTW I’ve still got a 24″ Canon PRO-2000 printer here for review – if anyone has any questions, please do let me know. It has a few distinct differences to the PRO-1000 I reviewed, but print quality is similar (i.e. excellent). 28th Canon have acknowledged a problem with the 1DX2 and some SanDisk CF cards, leading to image corruption. 24th A ‘no 6D2 until 2017’ comment [CR] includes a suggestion that there will be a new model designation in the EOS range. 16th I was recently interviewed for Episode 42 of the Breathing Color Podcast. 3rd The April CIPA figures are out and the bump in March this year, that led some to dream that the decline was over, reverts to form. There are more details available [PR] but Thom Hogan usually posts the best thought out observations on these figures in due course. 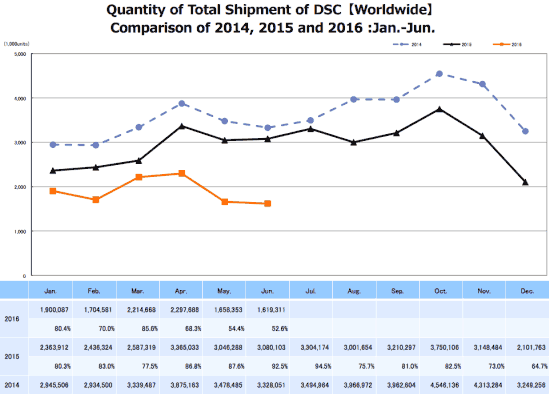 I’m inclined to wonder if the bump (shipments not sales) was more the result of companies wanting to shore up figures for their annual reports or trying to meet other forecasts. 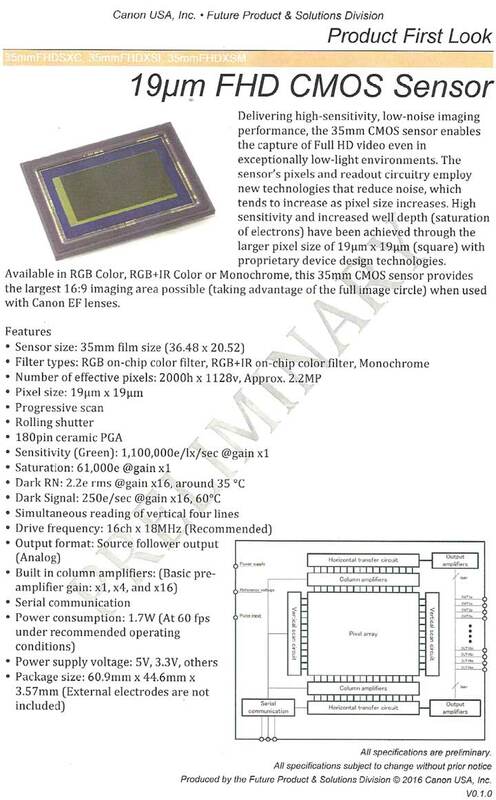 Does this mean advanced sensors (MF 100MP for example) or does it refer to complete camera units, such as might be found in phones or the innards of the old Hasselbling range? 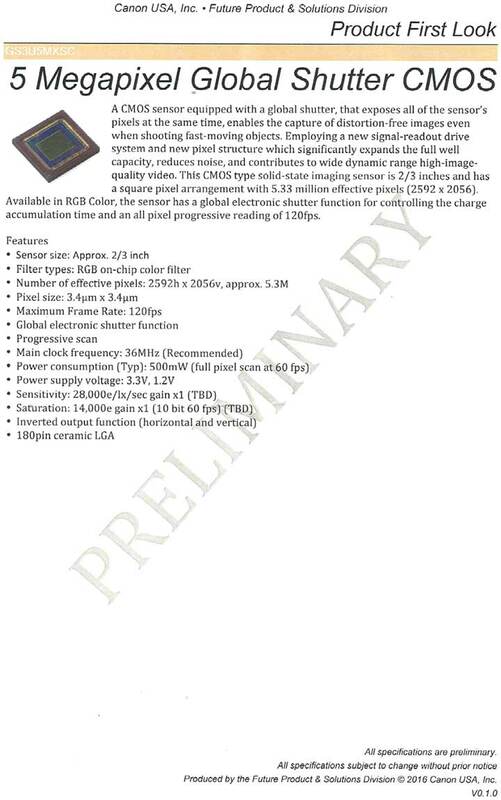 10th Specs for the new flash appear [DCI – xlt]: 600EX II-RT specs. 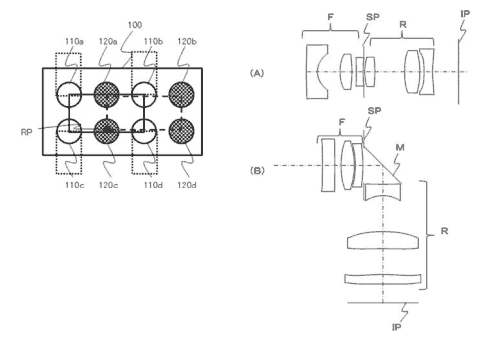 25th A new Canon patent looks at offset microlenses. [EG via Google xlt] above the colour filter (F). Towards the edge of a sensor, obliquely angled light from a wide angle lens can partly miss the underlying sensor part of a pixel (PD). This can be mitigated by offsetting the microlenses (ML). The degree of offset increases away from the centre of the sensor. Unfortunately if you want to use different types of lens, such as telecentric designs or even just a long focus lens, the rays now hit the sensor at less of an angle, and the offset lens causes some light to be lost (L1), leading to vignetting. 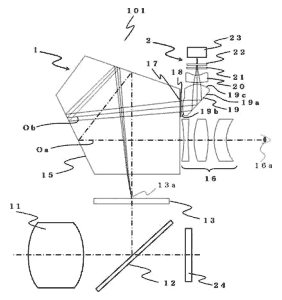 Canon’s patent uses lenses of a more complex shape that are not offset. 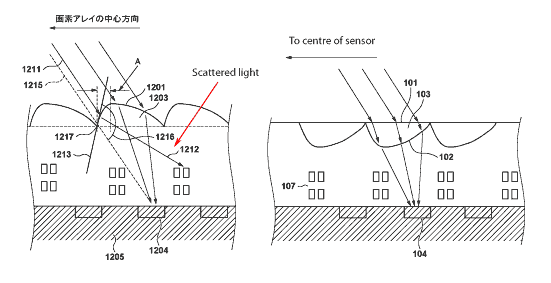 The shape of the lens ‘leans’ towards the centre of the sensor (although not clear in the limited detail of the translated patent, this would mean the lenses would lean in different directions and amounts across the sensor). These leaning lenses work with a wide range of incident light angles. 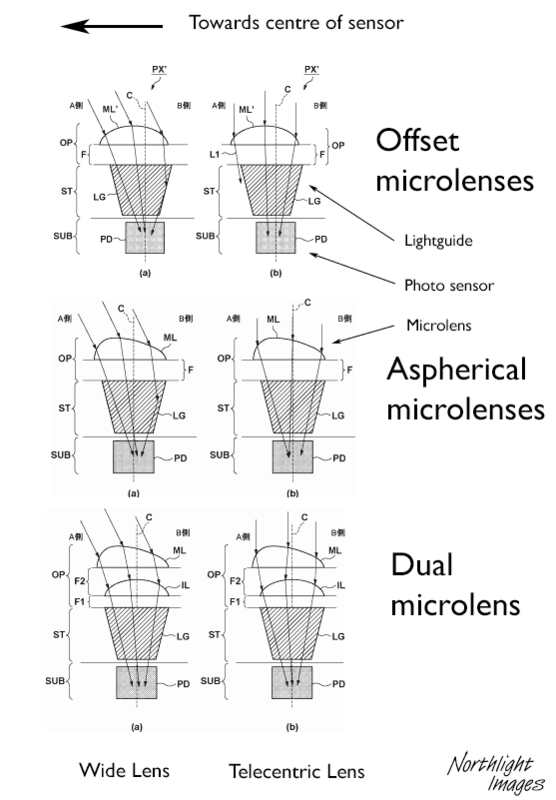 This second lens (IL) may also ease the need to vary the lens shape by quite as much across the sensor. 22nd Sony make sensors for a lot of companies. Damage from a recent earthquake may shut down manufacturing for a while [Sony] Canon use their sensors for several smaller cameras, but APS-C and FF sensors are their own. Hardest hit will be companies like Nikon and obviously Sony themselves, but many other companies rely heavily on Sony. 4th I was updating the Canon s/w page and noticed that the latest version of DPP (4.4.30) adds support for quite a few older cameras. 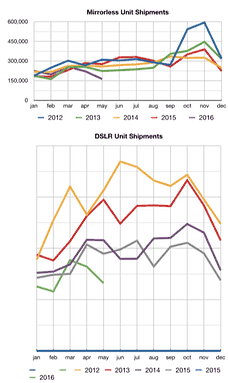 March 29th The CIPA camera shipment figures for January are out – only one data point for this year, but I don’t see this years curve being much more than a lower version of the two previous years above it. 28th Tis the season for needless complexity – the Canon lens rebate scheme is running (US) until the 9th of July. Details on the lens rumour page. 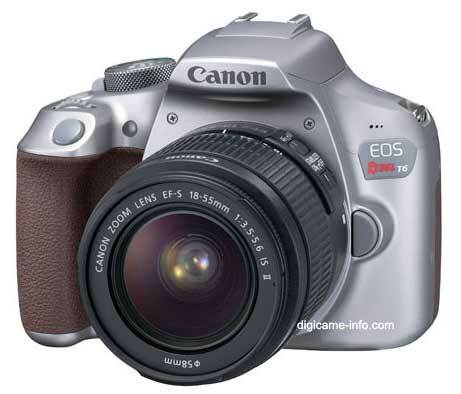 14th Several years ago (2005) I was talking to some people at Canon about developments in the camera market and how they regarded the competition. Nikon, was well … they were Nikon and would develop cameras for pro photographers and support them. Sony was the bigger ‘threat’ from a technology POV, but would never gain traction in the ‘Pro’ market without a significant investment in the support services that are vital to many working pro photographers. What reminded me of this? A short article by a pro photographer in Australia [PP] explains why he’s given up on Sony kit for his work. Note – I have absolutely no problem with considering Sony kit for my work from a technical view, but I want to know that if it goes wrong, I’m going to get the same sort of service that I’ve come to expect from Canon. When your living depends on having kit available when you need it, things like this are something you take notice of. Canon announce a new range of large format printers. The 24″ PRO-2000 and 44″ PRO-4000 [full details] replace the iPF x400 range. Not available until mid-year, I should have a full review when one is available to look at. We were just sent a new video about the 1Dx2, including 1Dx 2 video footage – see the 1Dx2 page. 26th — Reviews info: I’ve just had an Epson SC-P7000 turn up for review. If anyone has any specific questions, please email me? There is a Sigma web site with more detail. 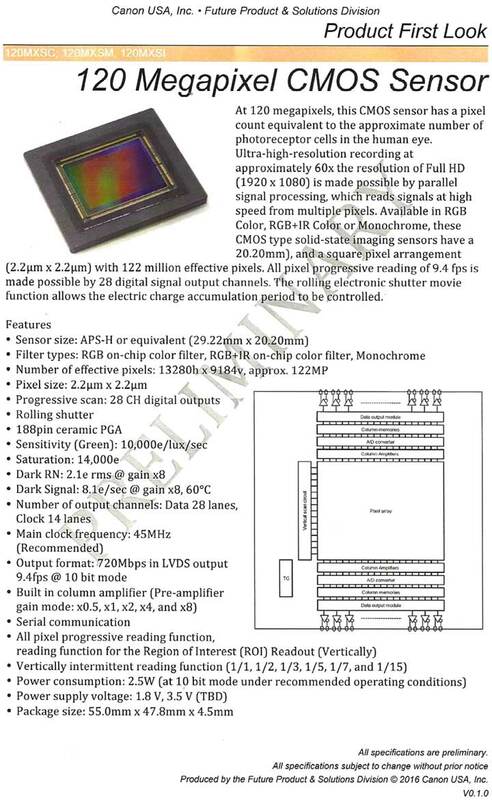 12th At the ISSCC conference (‘all about sensors’) Canon presented a paper on their 250MP APS-H sensor. There is info about this by Albert Theuwissen [HI] along with other papers presented. 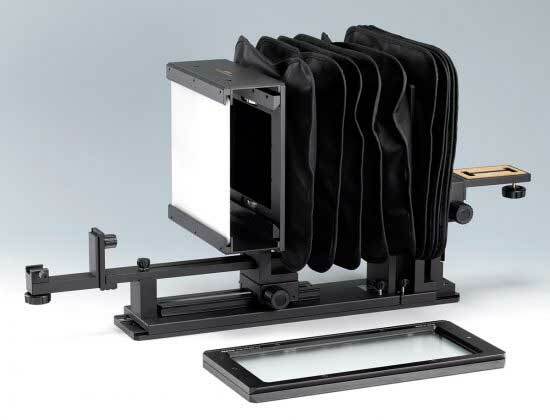 One of the problems you get with a pellicle mirror system is that the tilted mirror that light from the lens travels through to the sensor produces a tilt in the focal plane. An organic photosenor converts photons to electrons, stored in the structure below. of course, when dealing with individual photons, the random nature of their arrival is never going to make for low noise levels. The 1D X 2 is officially released – all updated info/reviews will be on the 1DX 2 page. Due to ship April 15th in the US and May in the UK. 1st The details for the 1D X mark 2 are published early by a US dealer – no doubt getting an interesting phone call from Canon on Monday morning. So, from a rumours POV, what are we going to get for the 1D X mark 3? The 3/4 year life of the 1D X makes for an announcement in 2019/2020. There is also the matter of how you combine this with split pixel AF – something not directly covered in any of the recent patents, but a ~20MP APS-C split pixel full RGB sensor would make for high quality video too. 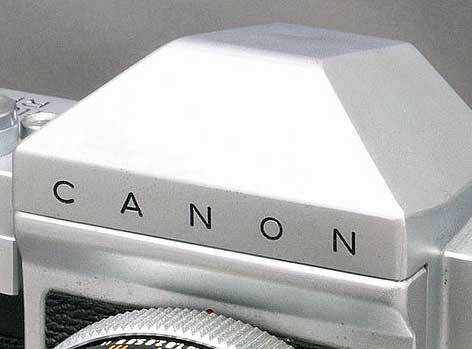 Once such a sensor is available, where do you slot it into the Canon range? 27th Time for a three layer stacked non bayer sensor from Canon? Something for the 1D X mk2 and 5D4? 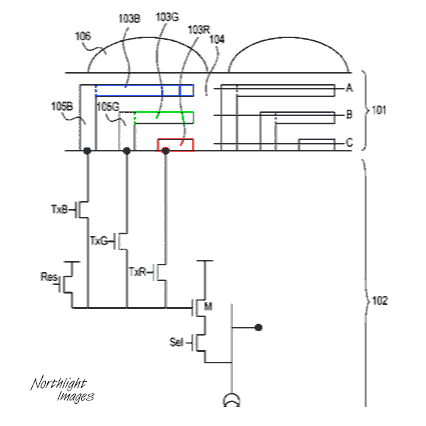 A Canon patent [USPTO] covers on chip A->D conversion. dpr: Do you think film in general will have a resurgence? TT: No, I don’t think so. The infrastructure [is no longer in place]. We have to continue to supply film and maintain our labs for another 10-20 years, maybe but I don’t think we can change the [downward] trend. dpr: You mentioned in your presentation that demand for film peaked in 2000. Can you give me a current idea of how that compares to demand today? TT: We sell less than 1% of that amount now. Across all formats. But we have to supply film to photo enthusiasts. They demand it of us, so we do. If your serial number starts AEGL, then it’s possible there will be an ink leak. “We have determined that some imagePROGRAF PRO-1000 printers may experience ink leakage. This announcement conveys Canon’s service policy for affected printers. We offer our sincerest apologies to any customers who have been inconvenienced. Short back focus lenses such as EF-M allow you to put the sensor much closer to the lens, reducing body depth. However, unless you choose an EVF, there is no way to get a good optical reflex viewfinder. 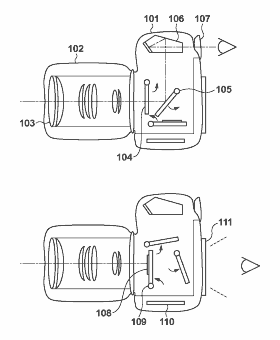 The patent allows you to swap between a focus screen or sensor close up to the lens. This allows a reflex optical viewfinder to be used with any short backfocus lens.